Stunning condition with only 30,000 miles backed by 4 Land Rover service stamps. Just had full service at Land Rover and warranted until MARCH 2020 so its ready to go. 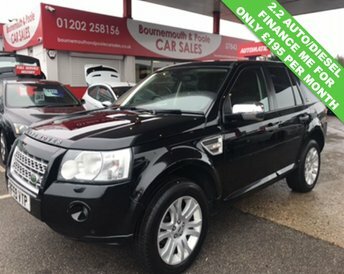 Top spec HSE model with Autobiography styling pack and 22" alloy wheels, Satellite Navigation, Electric Memory Heated Seats, Heated Steering Wheel, Rear Parking Camera, Multi-Function Steering Wheel, Full Leather Interior, Side Steps, Electric Folding Mirrors, Keyless Go/Entre, Stop/Start and all the usual extras too. We offer great finance packages to suit all budgets and credit scores good or bad. Simply click on the finance link on our homepage and fill out a proposal and we will do the rest. All Finance Rates Subject to T&Cs. Any Part Exchange welcome. For more information please call our office on 01202 258156 or Hayden on 07843 087334 or Darren on 07971 289371. Please visit us at Bournemouth and Poole Car Sales 540 Ringwood Road. Poole. Dorset. BH12 4LY. For those with a taste for adventure, Land Rover is a marque that has plenty to offer. From the go-anywhere, do-anything nature of the Defender to the luxurious and sophisticated style of the Range Rover, these are cars built to perform. 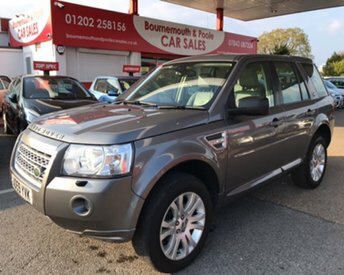 Here at Bournemouth and Poole Car Sales you'll find an impressive selection of used Land Rover cars for sale in Poole to choose from, with options to suit a variety of budgets. Take the opportunity to browse our latest stock here on the website and be sure to contact a member of the team with any questions. Arranging a test drive is easy, and we'll go the extra mile to help you find the right pre-owned Land Rover to suit your needs.